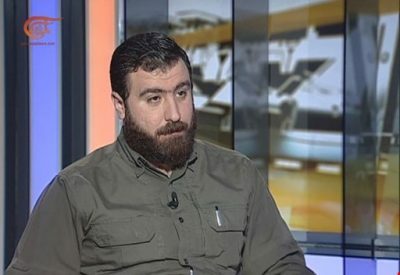 “The American planes bombed our positions to prevent us from reaching the Nineveh Plains”, said Ryan Khaldani, a leader of the Popular Mobilization Units-aligned Babylon Battalions, adding that the countries, known to be hostile to Iraq, are looking for ways to create tensions in the country, especially as regards the post-ISIS era. In an interview with Al Mayadeen network, Khaldani said that both, the US-led international anti-ISIS coalition and the Kurdish Peshmerga were deliberately making moves that benefited ISIS, while causing damage to the Iraqi forces fighting ISIS. He also said his movement firmly opposes the forthcoming referendum on independence of the so-called “Iraqi Kurdistan”, noting that his movement will not allow not even an inch of the Nineveh Plains to be taken away from its original inhabitants. He, however, said that for now his movement will not raise its arms against Peshmerga, although it might resort to tougher measures should the latter try to take the land by force. On September 24th, the Barazani regime in so-called “Iraqi Kurdistan” will hold a referendum on the province’s independence from Iraq.